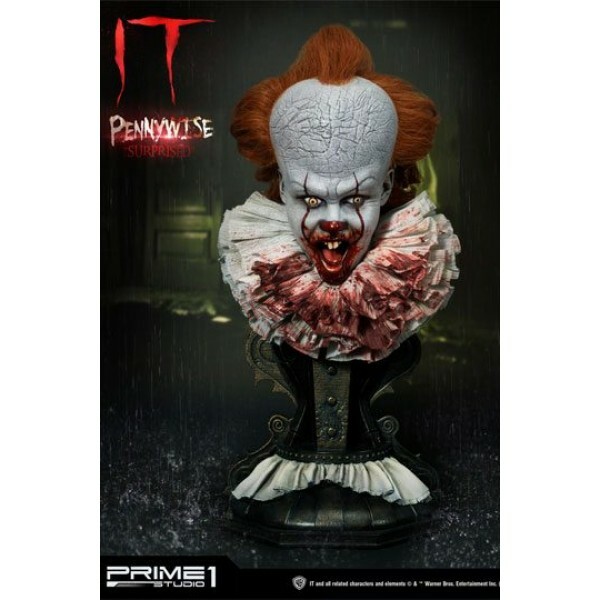 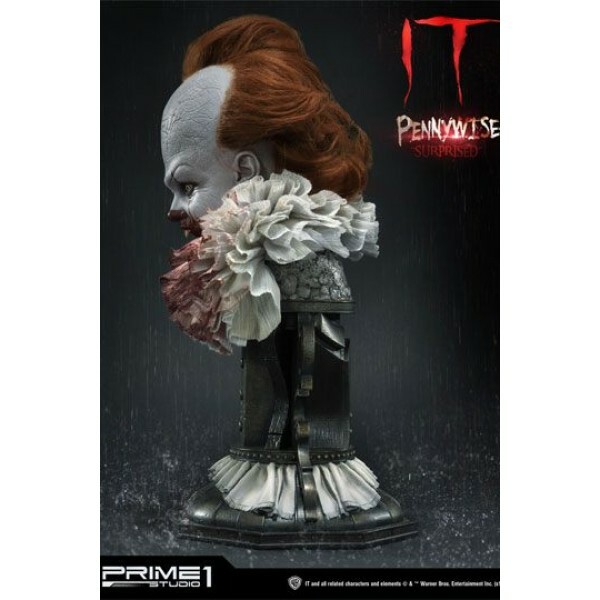 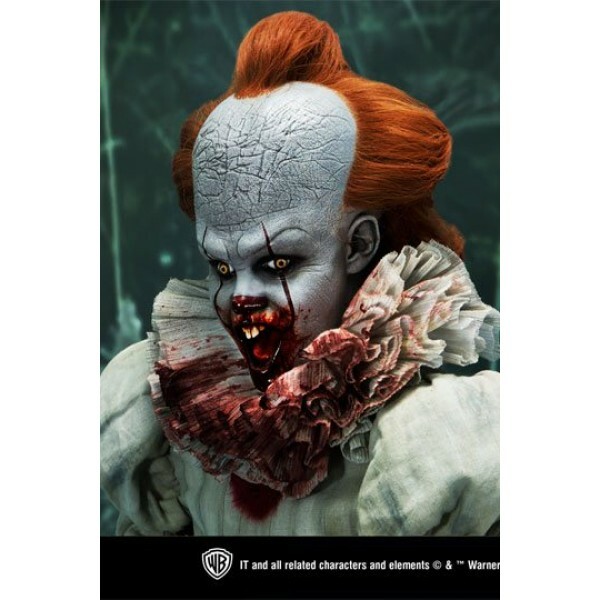 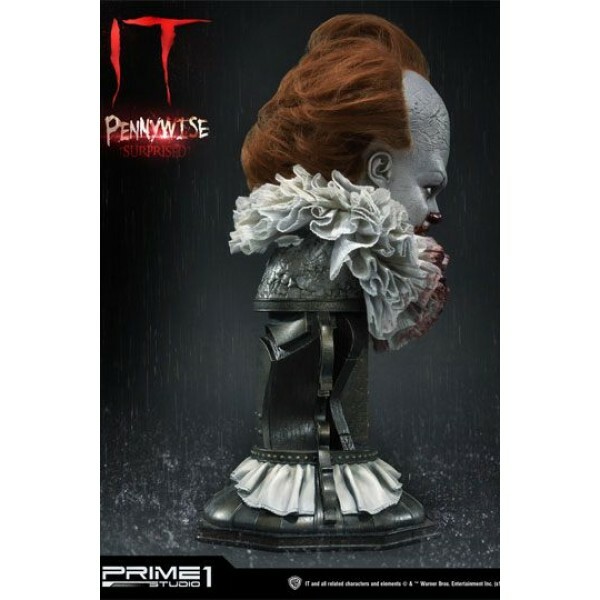 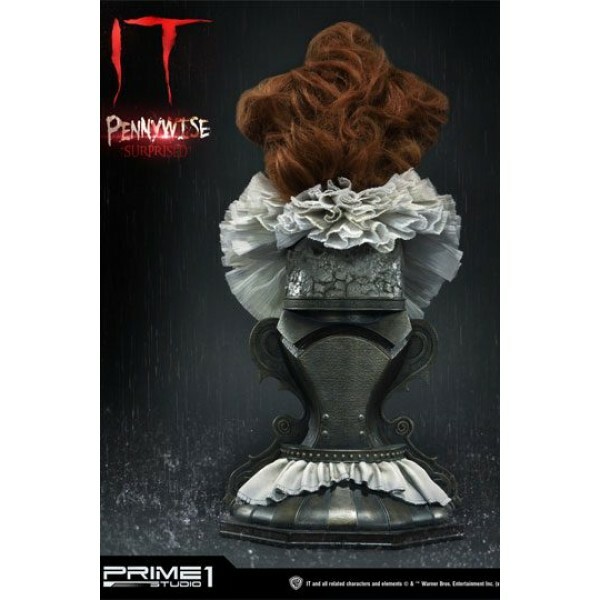 Prime 1 Studio is proud to present HDBIT-03: IT Pennywise Bust "Surprised" from the worldwide success 2017 Horror film IT, drawn from the pages of Stephen King's original novel. It Pennywise, often capitalized as "IT", was the main antagonist in Stephen King's IT. 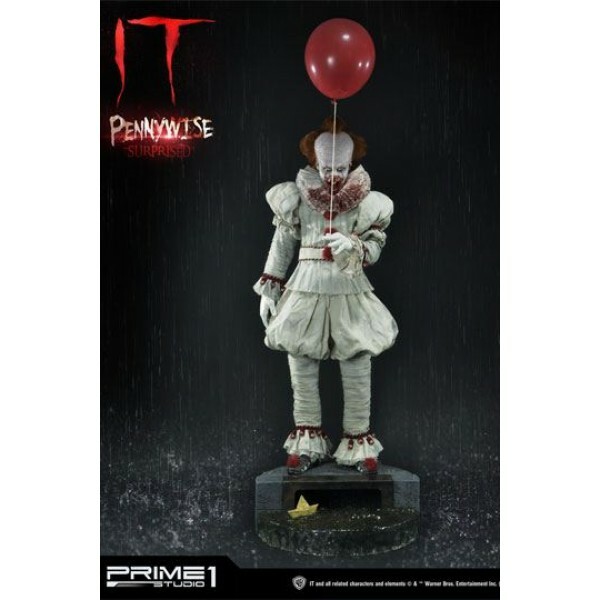 Pennywise was an ancient entity that would aware about every 27 years in Derry, Maine to cause chaos and feed on people's fear and its choice victims are usually children.